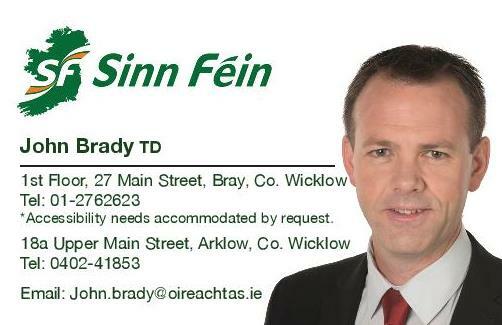 Sinn Féin TD for Wicklow/East Carlow John Brady has said that Sinn Féin’s alternative Budget launched today is about reducing the cost of living and investing in public services. 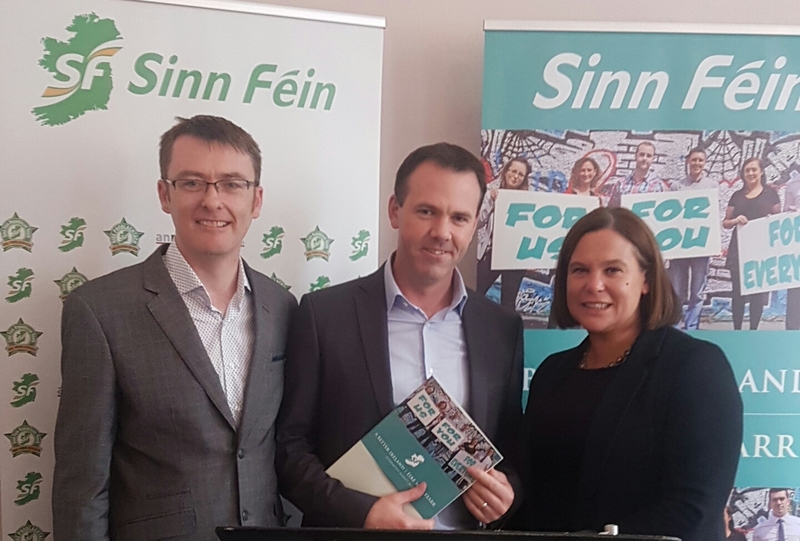 “Sinn Féin’s alternative Budget is about fairness, reducing the cost of living, fair taxation and increased capital investment to build much needed homes, schools and health facilities across the State. “Year on year other parties have chosen tax breaks for high earners over investment in public services, but Sinn Féin has shown that we cannot fix our health services or our housing crisis if we go down that road. “Our proposals allocate a fund of €111 million to support families by reducing the cost of childcare fees by an average of €96 per week for children aged between six months and three years. “We include an investment of an additional €500 million in education to reduce the pupil teacher ratio at primary level, tackle third level fees and create 1,000 additional apprenticeship places. “Sinn Féin would invest €267 million to provide an additional 500 hospital beds, reduce the prescription charge by €1 as the first step of abolishing it, increase ambulance cover and improve mental health services. “We want to see older people supported with an additional €410 million for a range of financial supports including restoring the Transitional Pension for 65 year olds increasing their weekly payment by €45 as well as increasing the Living Alone Allowance by €5.70 per week for more than 190,000 pensioners. “Sinn Féin continues to call on the Government to increase the cut off age for the One Parent Family Payment from seven to twelve years of age. This remains part of our alternative Budget this year. “Sinn Féin recognises the discriminatory cut made to Jobseekers payments for under 26s, we will restore this to the full amount over two Budgets starting with a €40 increase in this Budget. We remain utterly opposed to those under 26 receiving a lesser payment of between €100 and €160 based on age.